“Breakthroughs not breakdowns.” – Brene Brown. My own journey and proof of stepping into my true power is rooted in a series of significant shifts I have made in all areas of my life. By raising my energy and investing in my own mental, spiritual and physical well-being, I have turned my “breakdowns into breakthroughs” and have metamorphosed into a high energy, loving, joyful being! With a lot of hard work and determination, I have built six and seven figure businesses in the Information Technology and Real Estate Investing industries. I have been a mentor to new IT Project Managers in Canada, budding real estate investors, teenagers aspiring to become public speakers, athletes training for marathons and new entrepreneurs on a mission to create conscious businesses. As a serial entrepreneur who is all about making the impossible, possible and the ordinary, extraordinary I now know deep down that my purpose and mission is one of helping others transform their lives and businesses by changing their mindset and their energetic vibration. “From Ambition to Meaning” – Wayne Dyer. In 2015 I was nominated for “Woman of the Year” for my marathon swim of 13 and 1/2 h hours across Lake Ontario. What drove me to train up to 10 and 13 hours per day for 15 months was the intense desire to help raise awareness and funds for children who have been abused. The “Swim of Hope”, and the dedication of countless volunteers helped raise over $10,000 for a safe house where children who have suffered horrendous abuse can disclose their pain and trauma within the first 72 hours of it happening, after which a child will often fall silent, internalize the trauma, assume blame and shame, and carry that stigma into adulthood. In the Fall of 2016, I organized Toronto’s first ever Laughter Flash Mob in Nathan Phillips Square. Over 300 people participated in the event and it was televised by three stations. A completely volunteer-run event, its intent was to make a difference in the lives of people who are less fortunate and might not look forward to Thanksgiving, which is an incredibly joyous event for many. Over 300 people expressed their gratitude for all that they are and all that they have by giving back something that is free and uplifting to both the giver and the receiver: laughter! In this video, I share my vision of vitality, connection, affluence, meaning, and contribution. 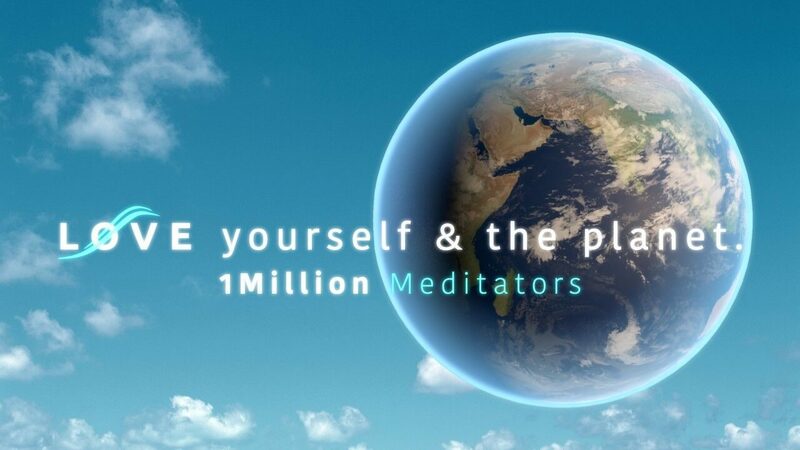 This is why I have ignited the humanitarian movement, 1Million Meditators: Love Yourself & The Planet. Founded in September of 2017 “1Million Meditators” is a global bi-monthly initiative where, during a 24 hour period dedicated Ambassadors from all over the world host meditation flash mobs in different locations and time zones; like a big tidal wave of love it is meant to engulf our beautiful planet and help it thrive again. We believe by harnessing the power of collective global intention and by connecting with Universal Love (God, Loving Intelligence, the Unified Field, the Matrix, the Great Spirit…) we can experience our interconnectedness! We raise our own vibration by feeling love in our hearts for ourselves and for planet earth with all its nature, sentient beings, and human inhabitants, regardless of age, race, nationality, creed, political affiliation, religion or sexual orientation. 🌎 On Sept. 23rd, 2017 we meditated to Dr. Joe Dispenza’s "Global Coherence Meditation". We reached over 72,000 meditators world wide! 🌎 On March 3rd, 2018 we reached over 124,000 meditators world wide! 🌎 On Sepember 29th, 2018 we had 43 live streamed meditation broadcasts which almost covered an entire 24h timespan and we reached 277,311 conscious souls worldwide! 🙏 Join us on March 30, 2019 for our first global meditation of the year! ❤️ Let’s make this one the so big it will blow our minds! We can do this with your help! As ONE CONSCIOUSNESS & CONNECTED to LOVING INTELLIGENCE! Join the fastest growing movement on the planet! By 2020, 1Million Meditators will reach 1,000,000 meditators worldwide with the sole intention to change the vibration of our planet to one of LOVE. To support this project, we are launching “SØULmate” to the meditation market: a posture-enhancing, portable, and comfortable meditation seat. Proceeds from our Kickstarter campaign and sales of SØULmate will contribute to funding the 1Million Meditators movement.